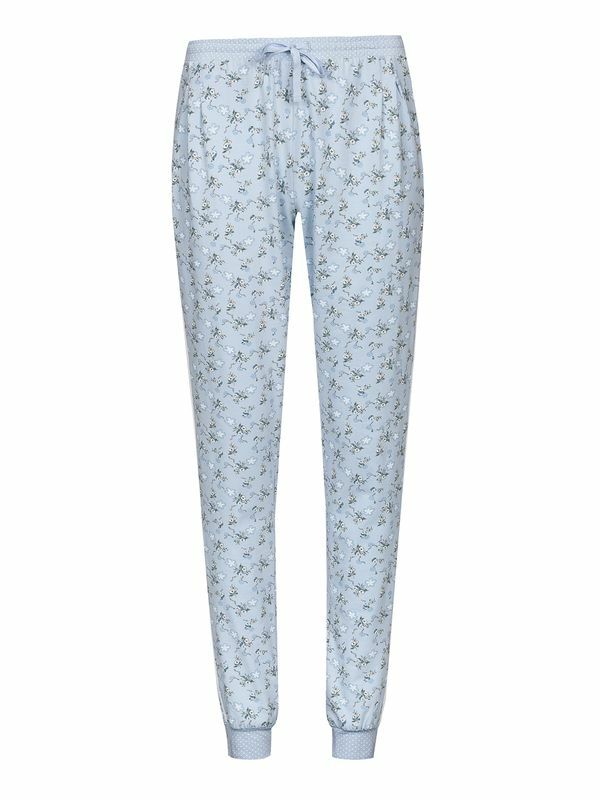 Pretty flowery: Vive Maria's Who Is Katie Short Pyjama set accents with its cheerful floral design. 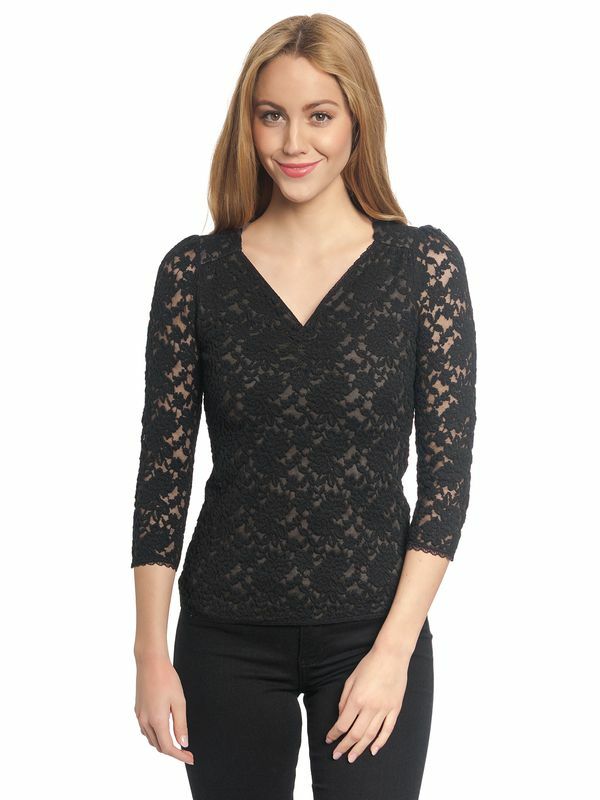 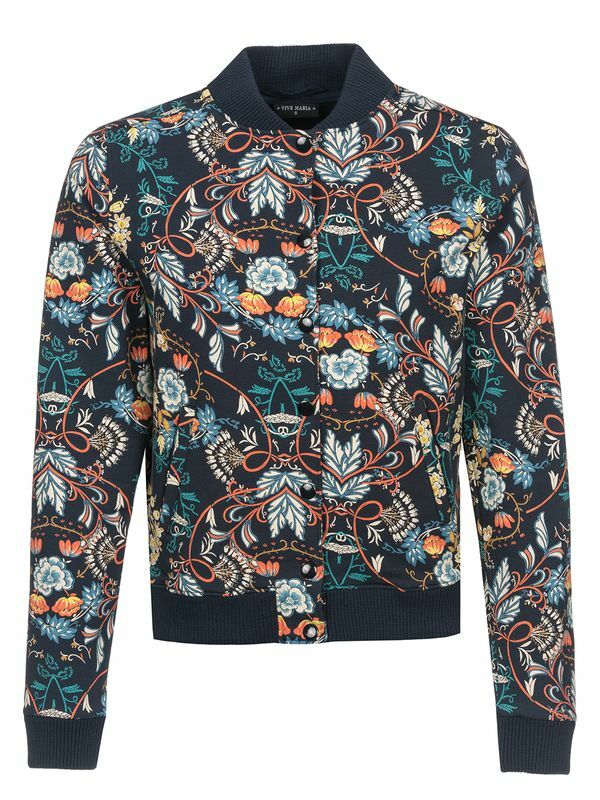 The shirt has long sleeves and a V-neck that is trimmed with a small lace. 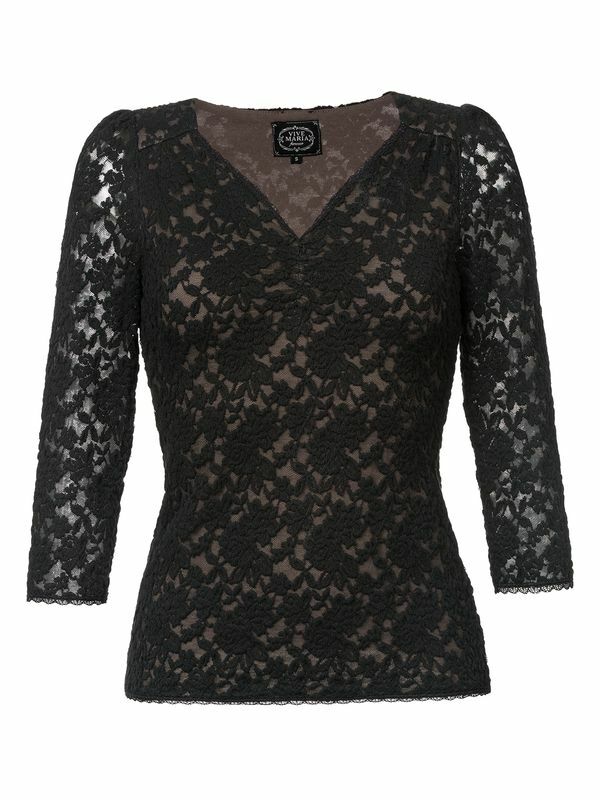 The delicate lace insert at the neckline and delicate lace borders on the shoulder give the shirt a particularly feminine look. 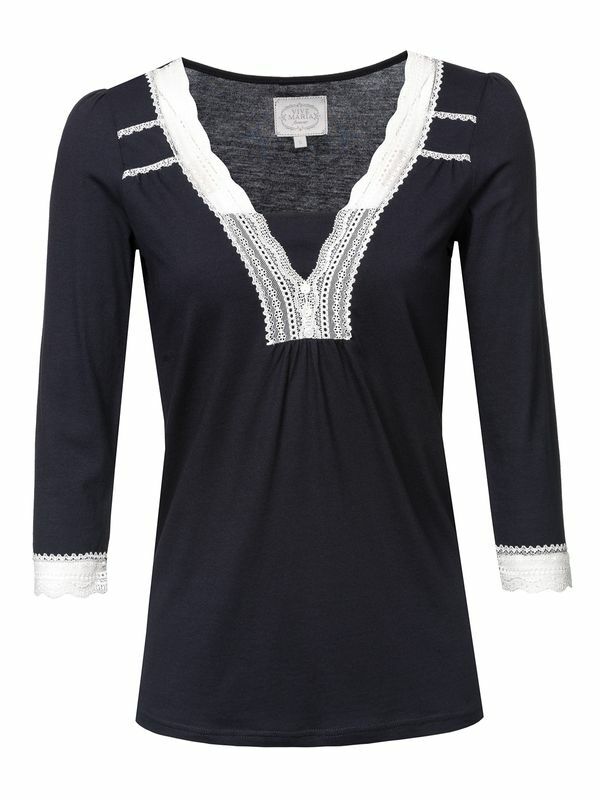 The light blue bow and the medallion in the middle of the neckline are further playful details. 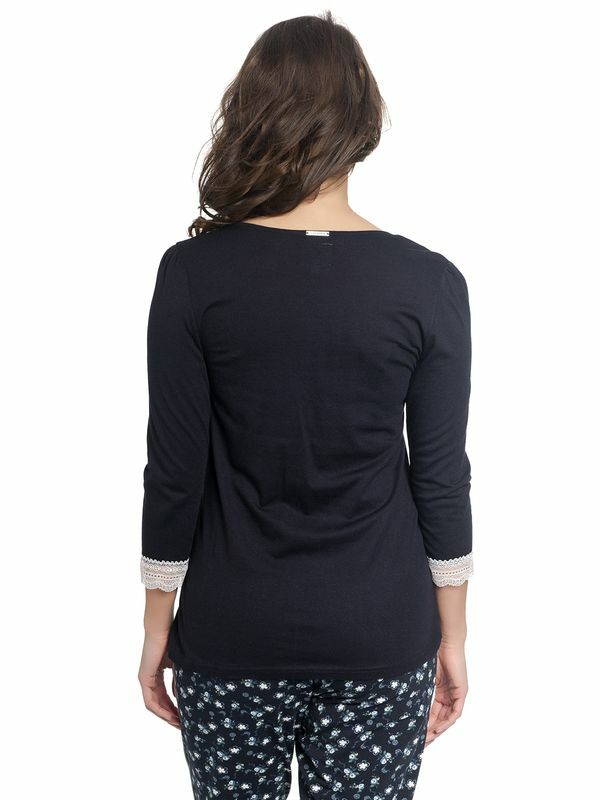 The underbust seam ensures a comfortable fit. 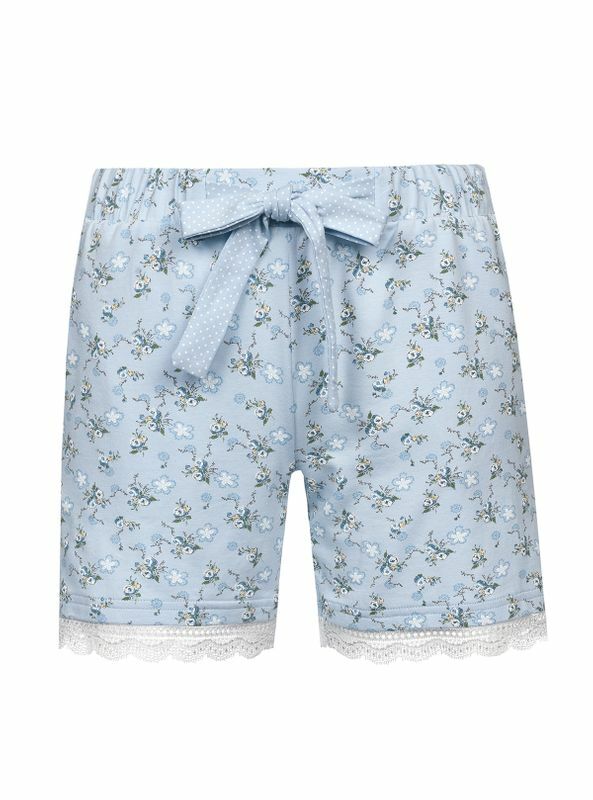 The playful polka dot pattern gives the shorts a special charm. 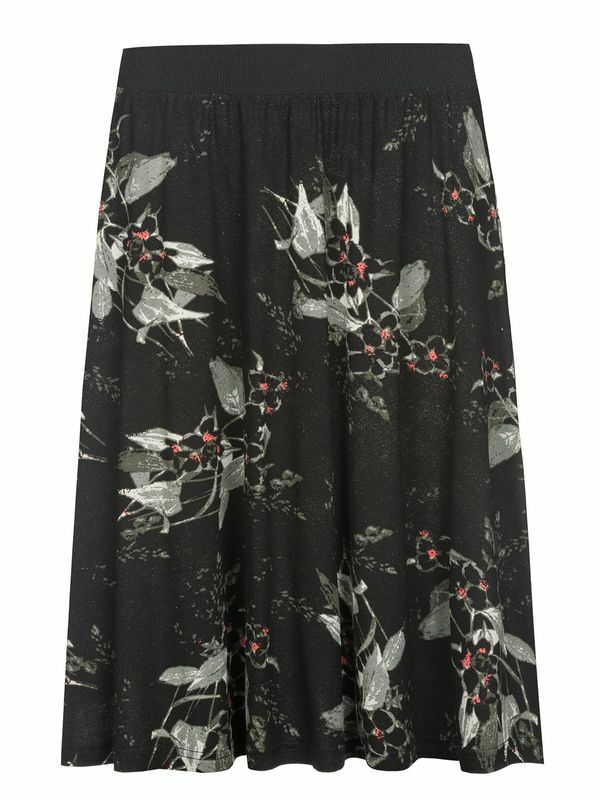 With a delicate lace trim on the hem, the shorts are a real eye-catcher. 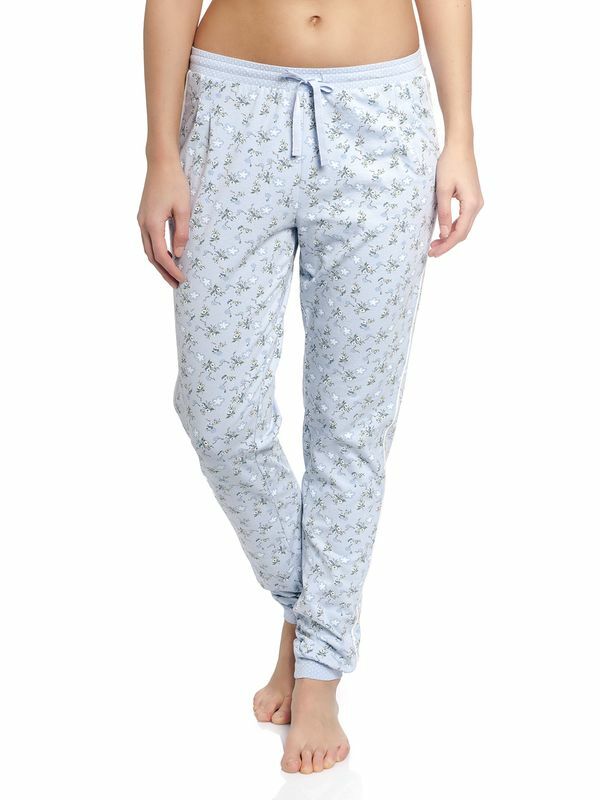 Due to the elastic waistband and the high quality organic cotton quality, the short pajama provides unlimited comfort at night.